Japanese Auto Care does FREE check engine light (CEL) readings! For 20+ years, Japanese Auto Care has had veteran ASE-certified Master Techs reading and diagnosing check engine lights for virtually every make and model of car and light truck made; and then making the necessary repairs if needed. Japanese Auto Care has built a solid 20+ year reputation on servicing virtually every engine component out there! We have trained techs using the current scan tools, current manufacturer’s data, OE (original equipment) specifications, wiring schematics, system diagrams and diagnostic trouble-shooting data available. At Japanese Auto Care, if it’s a benign or non-critical light, we’ll reset it for free and get you on your way. 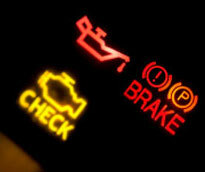 If the CEL comes on again, get your car back in for some further diagnostic time and we will find out what’s driving the check engine light issue and be able to fix it for you.